While watching K-21 Cappuccino with some J’s and L’s? sweeping Salmon Bank, foraging for salmon, we were pleasantly shocked to have a juvenile Minke whale come right to the side of our boat!! This young whale, maybe 15 feet long (adult Minkes can get up to 30 feet), stayed by our side, rolling as if to look at us, then went under to the other side of our vessel, before swimming off to the next nearest boat. 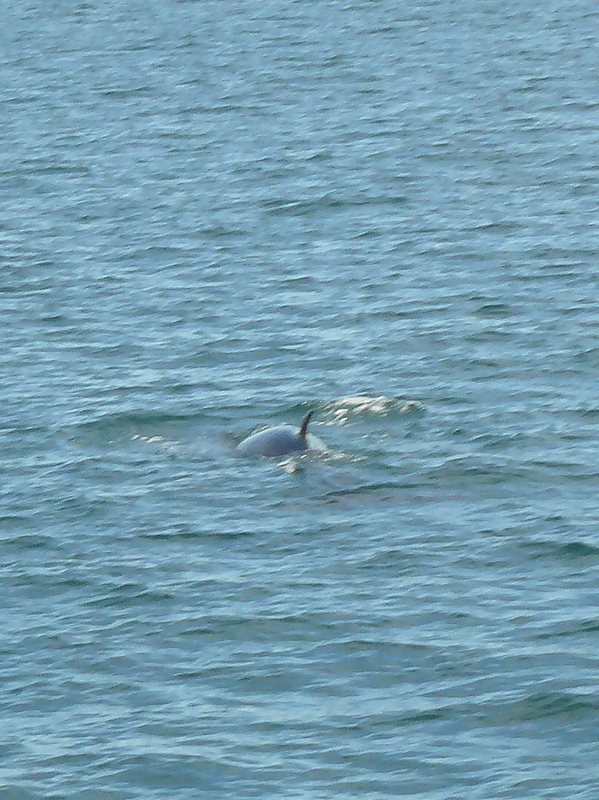 We could smell the fishy exhalation, hence the nickname for Minkes; ‘stinky Minkes’. The baleen whale swam amongst the orcas, and visited the other boats in the area. 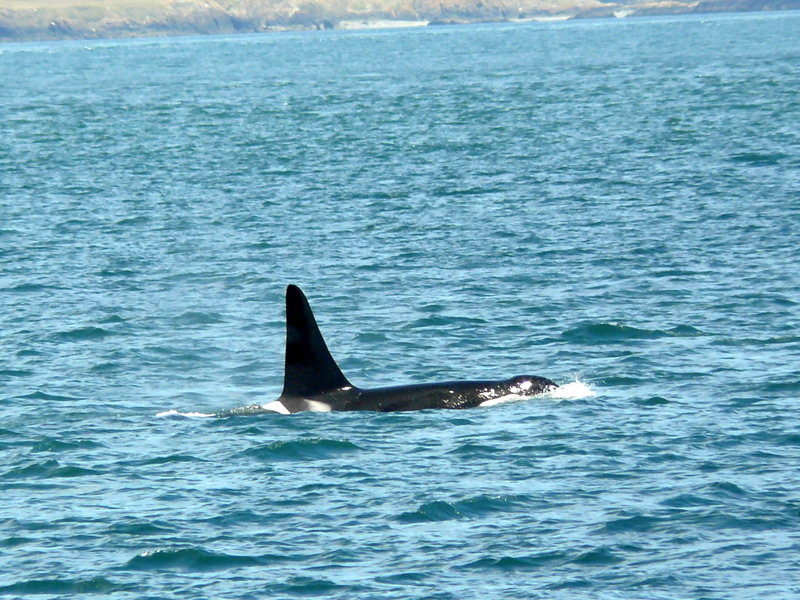 We were still watching this curious little whale when we received another visit right alongside! Perhaps this was the first year on its own, and it wasn’t sure about the killer whales, so was coming to the boats for security? I imagine it was thinking; “Now what did mom say, are these the kind that may eat me? Should I swim away fast?? Oh good, they’re eating fish, like I do!” I’ve decided to call this little one “Tweeny Minke”, as it’s not a calf, and not an adult- that between stage! I wonder what the orcas thought about the minke? A double delight trip for sure!